This is where I stash things I love while I try and decide whether they belong elsewhere. This is a love letter from my 4th period ERW class, c/o 2014. Unbelievably sweet. The DailyRoutines of Famous Writers. 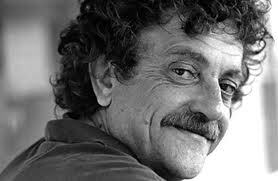 Here’s Fifteen Things Vonnegut Said Better Than Anyone Else. While we’re at it, here are his tips for writing fiction, and a letter he sent to a class room of kids. A graphic of fifty years of space exploration. I love looking at space, don’t you? In fact, here’s the NASA Astronomy Photo of the Day. Bookmark this and start your day here. I’m going to start stashing information about sleep right out here in the Love Closet. Maddy said this morning, “I could sleep 9 hours a night, and still want more.” (She is an excellent sleeper.) I am often sleep deprived, and I teach a classroom full of sleep deprived teens. It’s unenlightened. Here’s what we know: one hour more would do wonders. I read two online comics faithfully: xkcd and Questionable Content. I know there’s lots more great stuff out there, but there are only so many hours in a day, and I’m working on that sleep thing too. So I’ll stick with these two for now, thanks. I love them both.